← Home grown cauliflowers can make you squeal…. I’ve embraced technology for a long time and use and appreciate it daily. The ability to communicate worldwide on Skype, smartphones, online banking, music downloads – these are all big things in my life. But at the end of the day, when it comes to scheduling and planning, I am a paper person. I’m visual and I like to write things down. 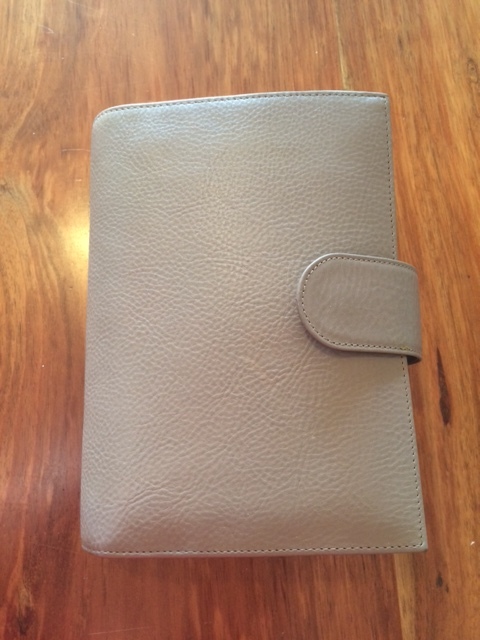 I’ve used a planner for as long as I can remember, and have been a pretty loyal Filofax user. I’ve strayed to Erin Condren, Kikki K, Van der Spek and even Kate Spade, but I have always come back to Filofaxes, particularly Malden and the Original. 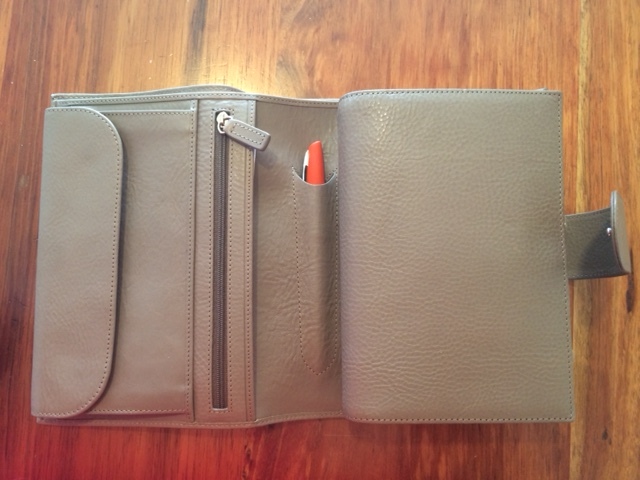 Right now I own a black and cream Van der Spek, a cherry Original Filofax, and as of last Monday a beautiful epoca leather grey Gillio Mia Cara, made of Italian leather by a company called Gillio Firenze, out of Belgium. This is not my first Italian lover. 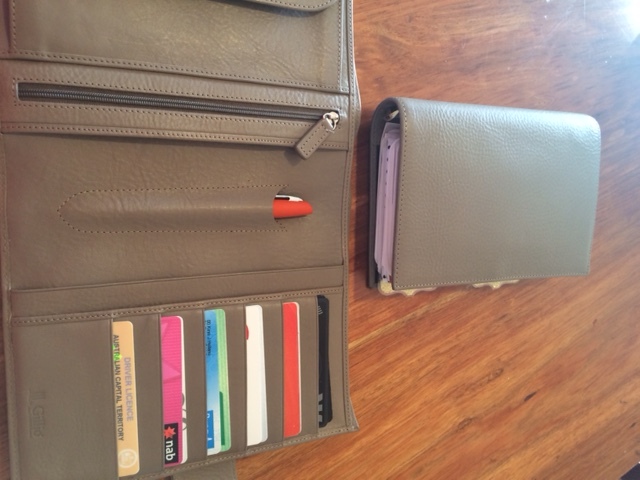 I have tried the large and pocket sized Mia Cara as well as the Campagna but after many permutations and combinations of planners and wallets, I have settled on a personal sized wallet/planner combo. And now here is the magic. 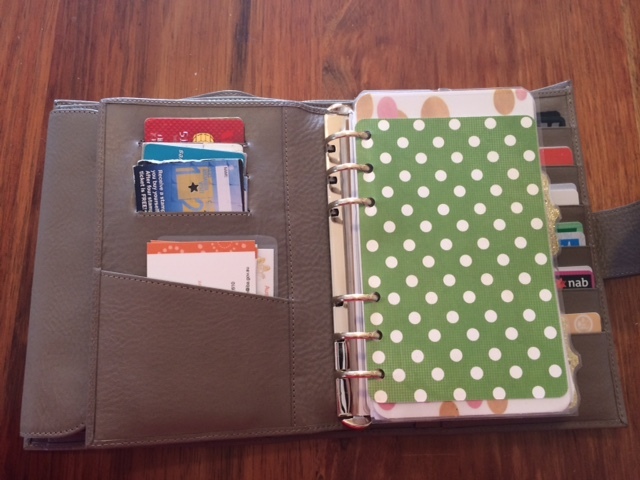 The planner portion on the right can be removed from the wallet section of the Gillio. 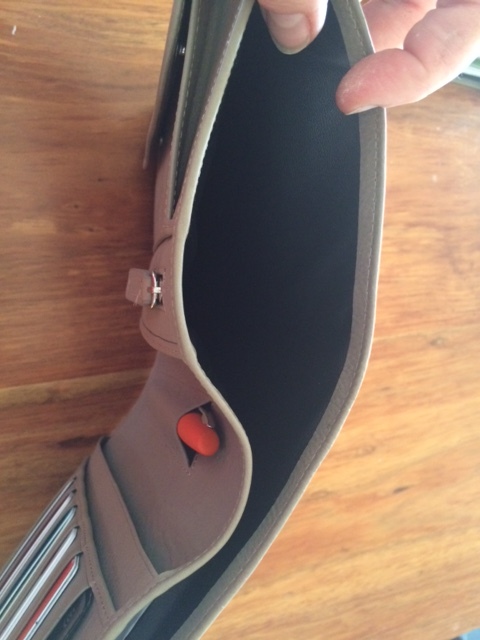 And here is the second magic trick – the massive pocket at the back that holds a4 papers folded…. Now before anyone gets too excited, you might want to wait for the Aussie dollar to appreciate against the Euro. This one set me back nearly $500 which is a pricey purchase for someone who is looking to simplify and slow down. My justification: this planner is not only my Italian lover but it is also my executive assistant, my brain on some days and the thing that keeps our large family functioning. I’ve ordered some new inserts from Etsy, so I will post about my set up when they arrive. Oh, light bulb moment! I never realized what the back, hidden pocket (for full size paper) was for in the past.